The first tip I’d have for anyone pondering a trip to Greece is this: GO TO GREECE! Greece is truly one of the world’s great countries. It is packed full of soaring mountains and stunning beaches, has some of the nicest people in the world and is a foodie paradise. And there might be just a little bit of history there also. Moreover, Greece needs you to visit. The economy has been struggling the last several years and tourism income is vital to the country. It is one of the cheapest countries in Europe. In fact, the Independent lists it as the best travel value in the world for 2014. 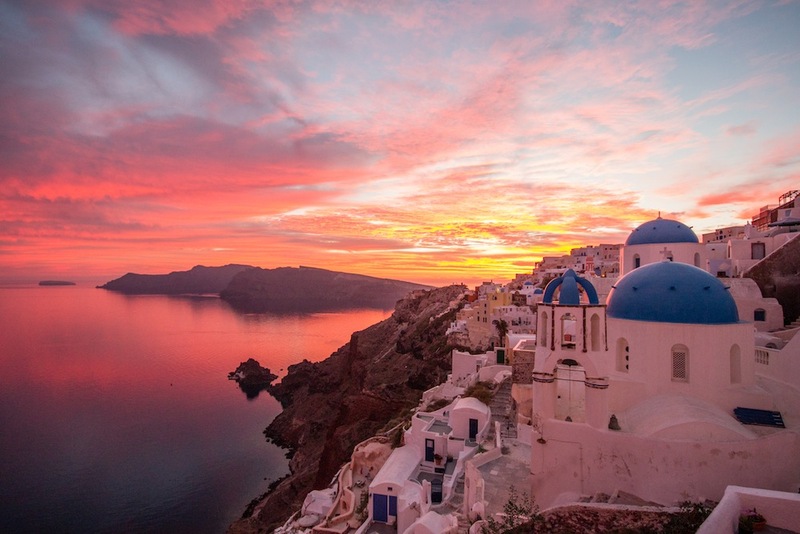 Santorini is the poster-child of Greece, and rightfully so. The whitewashed village perched high atop the cliffs overlooking a vast caldera is one of the most beautiful and photogenic places on earth. But I liked Symi better. 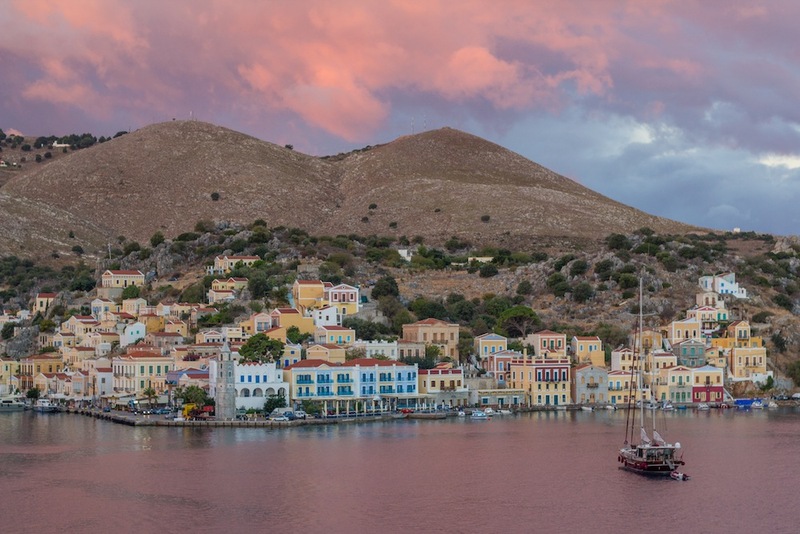 Symi has a relaxed vibe, a more authentic feel. Make no mistake, the small port town is touristy, but the locals were really nice and as soon as we stepped off the harbor and started to climb the impossibly steep steps around town, we left the touristy areas and entered a more authentic Greece. We went to the same grocery store each day and the owner gave us a free bottle of wine on two of our visits. Our guesthouse manager, Fotini from the Dorian Hotel, actually mailed us a Christmas card! The hospitality of the people is off the charts! 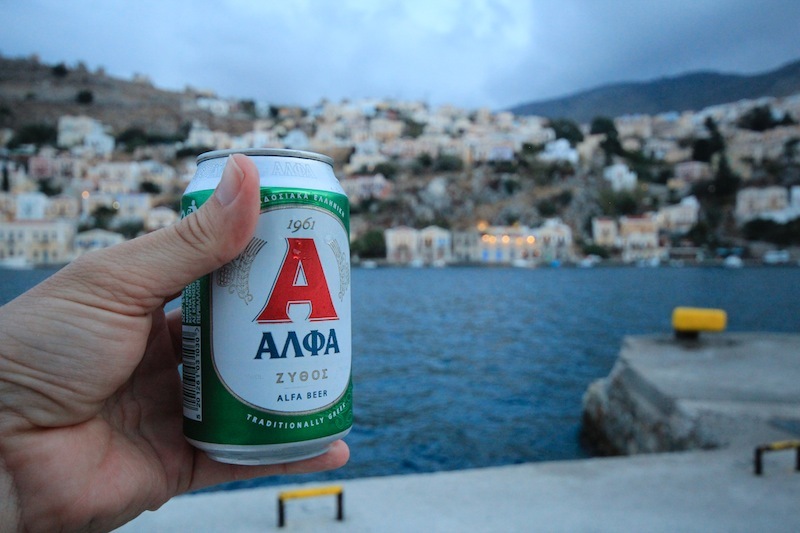 Plus, Symi is just as beautiful as Santorini, but in a different way. Check out these photo essays as evidence. Is Symi the Most Beautiful Small Town in the World? 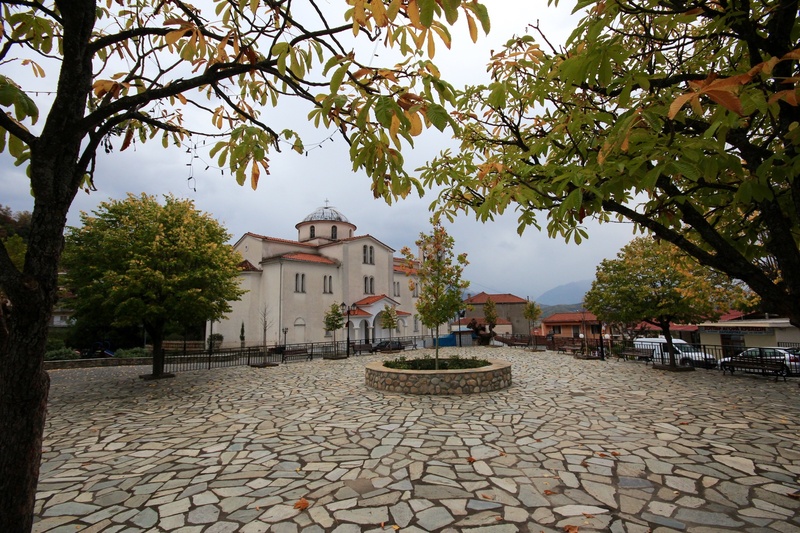 The main square of Kastraki. Did I mention that is was a mellow little town? Many visitors to Meteora stay in Kalabaka. It is larger, has more accommodation and dining options and is overall a pleasant town. But Kastraki is right at the base of the monasteries, is a quieter, more beautiful town and also has great places to eat. It makes a much better base for hiking in the area. We stayed at the Papastathis Guesthouse and I’d highly recommend it to anyone. It is the closest guesthouse to the monasteries – you can walk out your door and hike to the first monastery in about 10 minutes. The owners were very nice and accommodating and the breakfasts were simple yet delicious. We saved a lot of money by staying in guesthouses with in-room kitchenettes. We ate Greek yogurt with honey for breakfast and kept a stockpile of olives, feta cheese, bread, olive oil, vinegar and amazing spicy cheese dips for snacks and lunches. I made pasta for dinner on several occasions. 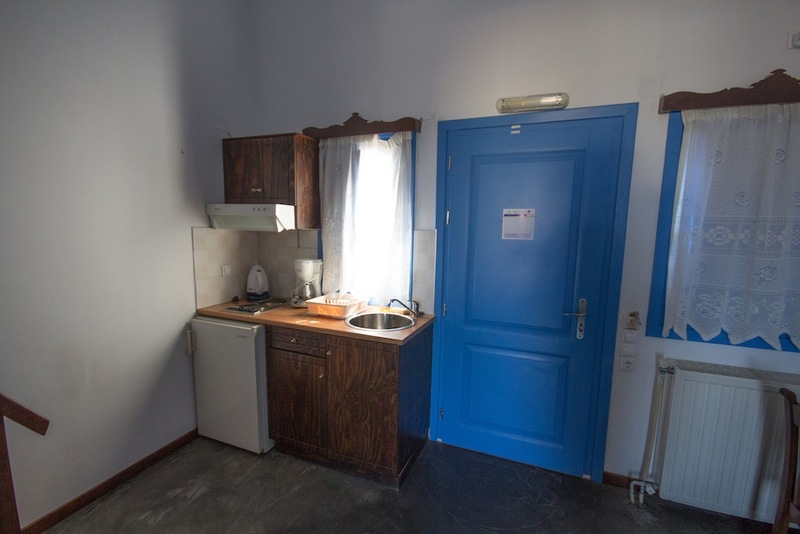 In Santorini, for example, we made every meal except for one in our kitchenette. With almost every restaurant in town being very expensive, we saved a considerable sum of money eating our own food and shopping at the grocery stores allowed us to live more like the locals. I am sure the Greek islands are great any time of year, but we thought October was perfect. The average high was right around 75 degrees in the islands and it was still warm enough to swim. The crowds were gone and we got some excellent deals on accommodations, sometimes getting rooms for 66% off peak season prices. I work in the tourist industry myself, and I can attest that at high season it is hard to be nice to the tourists when you are constantly busy. I felt like the locals were more relaxed and friendlier due to the fact that the tourism season was over. There are locations all over Greece. Click here to learn more. Every evening tourists flock to a promontory on the west end of town to take sunset photos (see photo below). Although it is a great spot, you will share the place with many other tourists. It was busy during our visit in late October – I can’t even imagine it during the high season. Our 2nd and 3rd night, we watched the sunset from the spot above, sharing our little space with only a few likeminded individuals. It was more photogenic and we had it to ourselves. I don’t know exactly how to get there, but it is midway down the pedestrian street towards the caldera. Print off the above photo and ask a local. 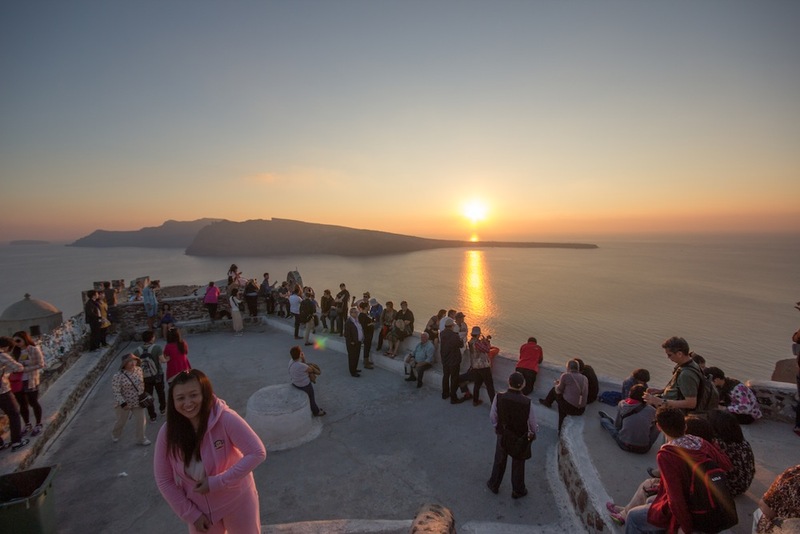 This is the main sunset point in Santorini. It is less photogenic and more crowded than other places in town. Athens is pretty cool. The acropolis museum is world class and worth a long visit. The Parthenon and environs are fascinating and beautiful, but really two days is plenty to see the sights. I see no reason to linger – get out and enjoy the rest of this great country. Kristi hiking in the mountains in Crete, wondering how I talked her into leaving the beach. 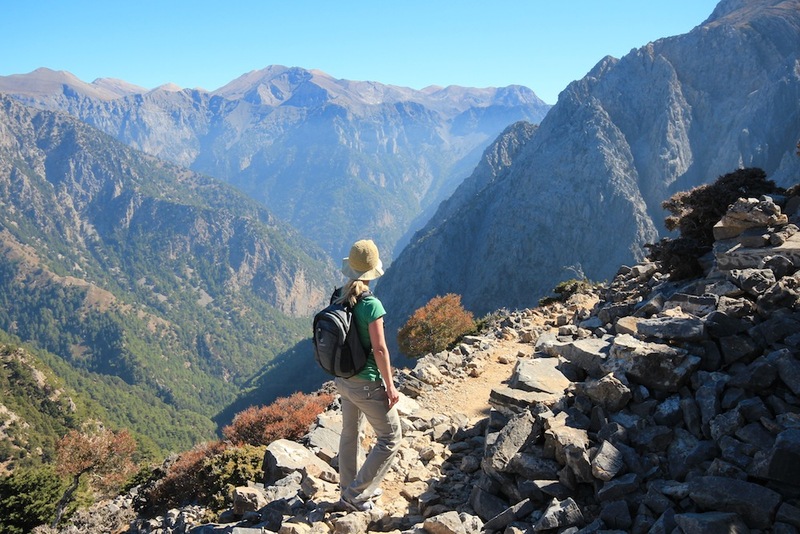 A country famous for its beaches and party scene, it might seem strange to say that Greece is a hikers paradise. The Greek Isles and the mainland are both very mountainous and there are trails all over this great country. Tear yourself away from the beach and you will see. I receive no money from Booking.com but if they want to pay me since I’ve bragged about them on this site, I will be happy to accept remuneration. I became a big fan of booking.com on this trip. Even many of the hostels and cheap hotels use this website which is a major player in Europe. Booking.com is loaded with photos and there are reviews by real guests. Traveling in the off-season, we were able to find some excellent deals. 11. Help me finish this post. Have you been to Greece? What are some tips you have for visiting this great country? Jeff so sorry to have missed Symi on our trip! As far as other suggestions…when in Athens if visiting the Parthenon go very early when it opens or for the last hour of the day. Something magical about being up there with very few other people. I agree with all of your other tips for sure! Good tip on the Parthenon. I bet it is glorious in the evening near sunset time. The view up there is great. This is the best travel blog I’ve ever read and this post is just straight up amazing. Thank you for sharing your tips!! Can’t wait to read more posts you publish. Oh PS. The Alaskan pic post you wrote for yourself : another awesome entry. Thank you very much. I am glad that you enjoyed. Hi Jeff; My thought is on how to get there if you’re not flying. I took the ferry from Brindisi, Italy to Patras, Greece. It passes through and even stops at the island of Corfu, if you want to get off and check it out for a couple days. The ferry ticket is even covered if you have a rail pass. Then, the big tip: As the trip is an over-nighter, go to the railing first thing in the morning and look straight down. It will be your first look at Greek waters. They are like none other in the world, and you’ll know what I’m talking about when you see it for yourself. The water is the deepest ultra-marine blue you can imagine and is a very welcoming first experience of Greece. Sometimes, the littlest of things can become life-long memories. This happened to me 41 years ago and is still etched in my brain to this day. Great tip Steve. Photos can not do justice just how stunning the Greek Isles are and traveling by ferry is an authentic way to do it. Thank you for commenting. I am dead on with the bell bar. Can you please write booking.com and see if they can pay me? That would be most appreciated. I’ll see what I can do, but keep in mind I charge a “very reasonable” fee for my collection services. The wife always makes me go hiking. Been wanting to go to Greece for a while! This has been helpful! Thank you. Greece is a great country. If you need any other tips, shoot me an email. Have fun planning. Another tip you may add is about octopus drying in front of tavernas. Most tourists would not want to taste them but it can still make a nice dish. Thank you for the tip. Do they eat them raw like sushi or do they cook them? Greek food was a major highlight of the trip. They cook them. Didn’t you see them hanging outside the tavernas? Don’t ever walk into one at night after a few rakis! Eeeew! Hey Jeff, it reminds me also! I made a video about Greece. And I believe you love it. It’s 36 minutes long and it’s a combination of photo’s and videos of Greece supported with beautiful diverse Greek music. It shows the cultural, historical and natural diversities and beauties. 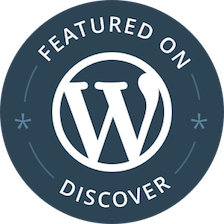 Hi Jeff, great post lots of info!. Just a remark though…the guy on the “i don’t know what bitted him” photo looks like he has psoriasis which is a skin autoimunne disorder. So although it might be funny i think it’s a little disrespectful…And don’t worry it’s not contagious and doesn’t bite anyone. Mary, Thanks for the info on the bite. I didn’t mean to be rude to anyone, it just looked like a sea creature bit him. Thanks for the comments.